Dr Bowles has a Bachelor of Science and Honours from Macquarie University, majoring in Cell Biology and Organic Chemistry, and a PhD from Southern Cross University, awarded in 2007, investigating the potential for essential oils to improve cognitive function in dementia. Her research interests include Primary Health Care quality improvement; Chronic Disease Management; Rural Health; Telehealth; Complementary and Alternative Medicine (CAM). Her publications include ‘The Chemistry of Aromatherapeutic Essential Oils’ (Allen & Unwin, 2003). Dr Bowles was employed as a Research Assistant in the School of Rural Medicine for four years. 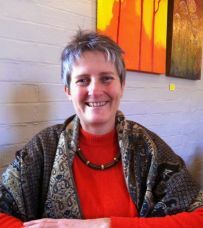 She worked on the Telehealth Skills Training and Implementation Evaluation project, with A/Prof Michelle Guppy from 2013-2015, and was Project Coordinator, ‘Keeping my place in the community: achieving aging-in-place for people with intellectual and developmental disabilities’, ARC-funded project, 2015-2017. During 2016-2017 she has worked on a rural registry and chronic care model for chronic kidney disease and diabetes, with A/Prof Michelle Guppy. Primary Health Care quality improvement; Chronic Disease Management; Rural Health; Telehealth; Complementary and Alternative Medicine (CAM). Evaluation of a Memory Assessment Program, Dementia Collaborative Research Council conference, 21-22 September 2013, conference proceedings.